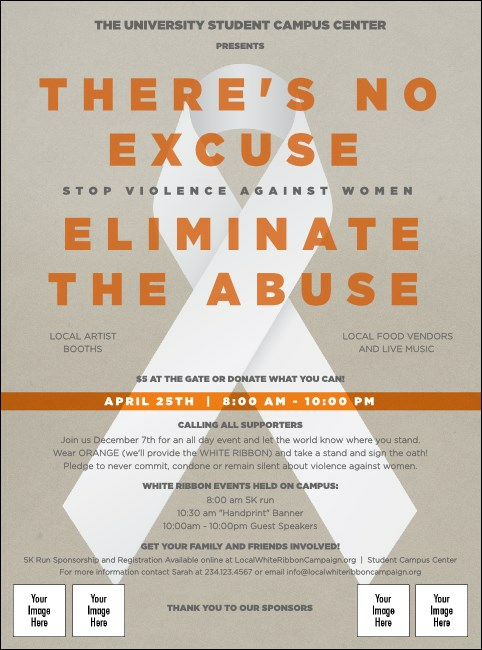 Publicize your next special event with the White Ribbon Flyer. With room for four custom image uploads, you can proudly display your organization's logo or images. This high quality flyer has a peaceful grey background with a strong white ribbon, with plenty of lines of text for your event information.